Finding a ring that you adore takes time and patience. A lot of time and energy goes into the selection process, so, when you finally find that special ring for yourself, or for your loved one, you naturally want it to be a perfect fit, both personally and physically. 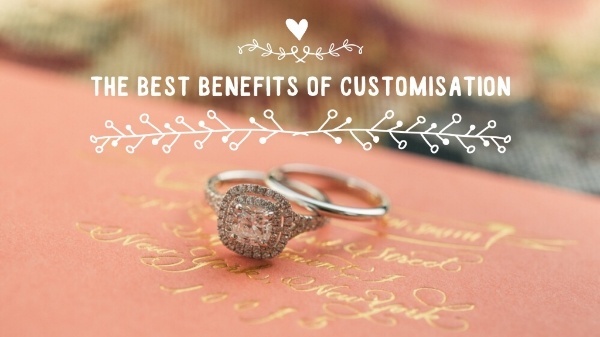 This is where the ability to customise your jewellery piece becomes essential. After all, why have something that doesn’t really fit you when it can be made to meet all your needs? The McCabe family have been jewellers for 4 generations, and before that were tailors, so we know the importance of getting that perfect match. To ensure that your selection is a faultless fit, we offer a fantastic personalised, "made for you" bespoke jewellery service. We want your chosen piece to give you joy and satisfaction. Therefore, your selection is made just for you, to give you a superb fit. By making your ring in the correct size, you get a quality product that is uniquely tailored to perfectly fit you. This can take some time as the ring is being remade instead of resized, so be sure to plan ahead if you are looking to give this piece as a gift or surprise. Another personalisation option available to you is changing the metal in your ring. If you have found the perfect piece, but you want it to be rose instead of yellow gold, or platinum instead of white gold, we will craft it for you in the selection of your choice. Something that is of huge benefit to you is our ability to change the diamonds in your ring choice. So, if you have found a style that you love but want to get a bigger/smaller diamond, change the quality of the diamond, or add/remove diamonds from the band, we can do it for you. We have a selection of diamonds that have passed our strict criteria that you can choose from, so you can be assured of the quality of your piece. At Gerard McCabe, our Adelaide diamond specialists want to make sure that you are 100% happy with your purchase. If you would like to learn more about our customisation and how long it will take, give our friendly team of Adelaide jewellery experts a call today.